Tampa Towing is the number 1 tow truck company in Tampa, Fl. Our tow truck drivers are ready to haul your vehicle from any area in the Tampa bay area, Hillsborough County! Tampa Towing offers roadside services, flat tire replacement, battery jump start, towing, gas delivery. Tampa Tow Truck is here to assist you with fuel delivery and roadside assistance to all of Tampa bay residents. Our Tampa Towing company tow truck drivers have been in the serving industry helping everyday people in Tampa bay area for our 10 years. Tampa towing is number one in Tampa for a reason, we value our customer and are extremely dedicated to help and serve. We are here to get you back to work or home. 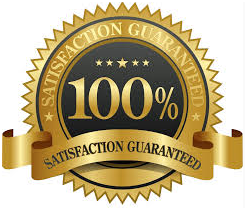 Tampa towing is guarantee the best tow truck company in Tampa. Cheapest Towing Service in Tampa, Tampa Towing is by far one the quickest towing services company in Tampa, Fl. We understand that being stuck for a long time can be very aggravating the average wait time can be around 25-30 minutes depending on call volume. With our 5-star review its no wonder that our customer love our desire to help them get back on the road! Tampa towing are know for their quick response and also for 24hr towing in Tampa, Fl. We understand the true value of helping others especially at odd hours of the night. Your vehicle can give up at anytime we want to be the number one towing company you call at 3 a.m. Tampa towing services is dedicated to providing you with 24hr roadside assistance in the Tampa, Florida. When you hear someone say they had to get their car towed, most times it has negative impressions. Not even the crème de la crème, no one likes to think about the possibility of having their car towed. Towing is usually something associated with a legal problem or faults with the car and come to think of it, even the best car will break down at some time or another that’s the nature of the “beast” and funny enough when it does, it probably won't happen at a convenient time or under favorable circumstances. A tire could blow, the engine could die, there's a pileup and yes, you have to tow. No matter the reason you need to have your car towed, it is good and valuable to know that car towing is not something one should try without proper experience and equipment . There are towing experts who are specifically trained for their jobs; they have years of experience and also appropriate equipment for the towing job. They are also experienced auto mechanics who can handle contingencies like the need for jump-starts and roadside assistance and importantly, they are insured against unforeseen mishaps. It is no doubt; not all tow companies are the same and not every tow truck has the ability to tow your car safely and perfectly. For these reasons, when you are at the point of towing your car, it is quite important to get exactly what you want and that you protect your car from being damaged further from the tow using improper tow truck. A tow truck is a truck used to move disabled, improperly parked, impounded, or otherwise indisposed motor vehicles. Towing may involve recovering a vehicle damaged in an accident, returning one to a drive-able surface in a mishap or inclement weather, or towing or transporting one via flatbed to a repair shop or other location. Another good thing you need to consider when having your car towed is the use of the flat bed as mentioned earlier; this is the best kind of method for having your car towed. Using the flatbed, the entire back of the truck is fitted with a bed that can be hydraulically inclined and moved to ground level, allowing the vehicle being towed to be placed on it under its own power or pulled by a winch. The flat bed will keep your car off of the ground and will reduce the risk your car getting damaged while on its way to the repair shop or to the next destination. The tie downs on the flat bed will consist of a few points on the car which were designed just for this use. These are the same points which were used when the car was delivered to the dealership and they will help to insure that your car arrives safely at its destination. 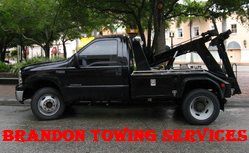 Looking for a tow company which has a history of towing cars correctly? Towing Tampa is where you get the help needed; you can be assured that they will treat your car correctly. Visit Towing Tampa and be sure that there are no hidden charges and that your car will be treated properly while it is being picked up and delivered to the location that you have chosen for repairs or otherwise. Towing Tampa has the right tow truck for your car towing.